Jesus, a Galilean teacher and miracle-worker, was savagely whipped on the orders of Pontius Pilate. Then the soldiers dressed him in purple, put a crown woven from thorns around his head, and mocked him as ‘King of the Jews’. It is fairly clear that Pontius Pilate tried to save Jesus by offering the crowd an unattractive alternative, Barabbas. As we know, this ploy failed. Now he tried another. He had Jesus savagely flogged, and then paraded before the crowd in an attempt to gain pity. It was clear to him, and he reasoned it should be clear to the crowd, that this pitiable object before them could not be taken seriously as a king. 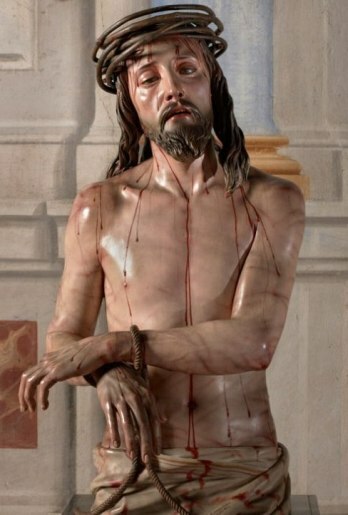 Scourging was a brutal punishment, but it was standard practice before a crucifixion. 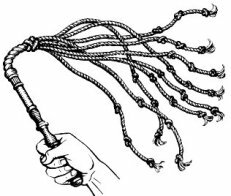 The whip, the flagellum, had several thongs, each one of which had pieces of bone or metal attached. It made a bloody pulp of a man’s body. The person to be whipped was stripped of his clothing, tied to a post or pillar, and beaten until his flesh hung in shreds. 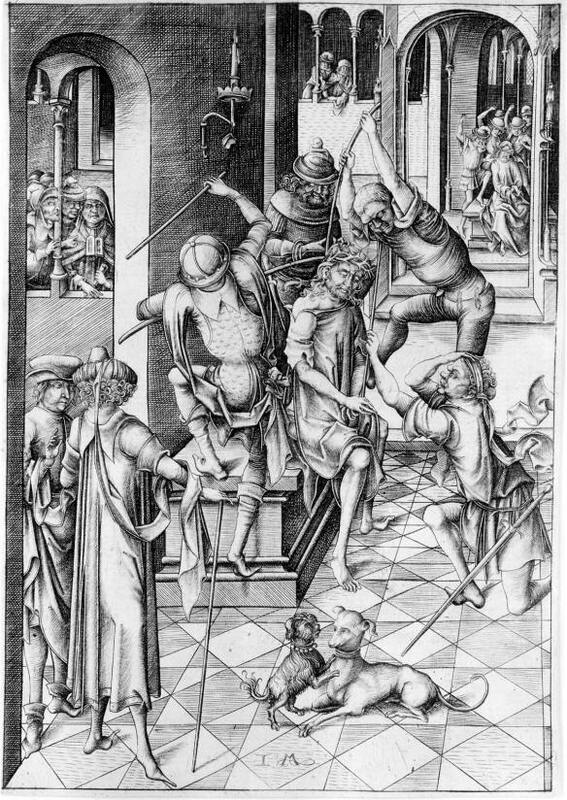 After the soldiers had flogged Jesus, they engaged in some brutal horseplay with their helpless prisoner. One accusation against Jesus was that he called himself ‘King of the Jews’, so they set about playing out a grotesque charade in which Jesus was a royal king – of sorts. They wove spiky twigs into a rough crown and set it on his head. This is traditionally shown as a crown of thorns, but the Greek word used to describe it in the gospels means a wreath of victory rather than a royal crown – the sort worn by victorious athletes at the ancient Olympic games. A gilded wreath of leaves was also part of the insignia worn by Rome’s vassal kings. 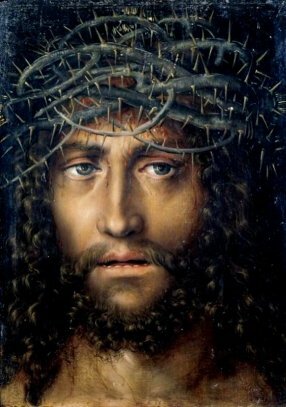 The ‘crown of thorns’ may have been meant more as mockery than torture. Once they had crowned their ‘king’ they draped a cloak around his shoulders, probably the dark red chlamys worn by army officers. This would have been easy for the soldiers to obtain. Purple cloth was extremely expensive, and not likely to have been available to ordinary soldiers. John’s gospel says the soldiers ‘came at’ Jesus. They probably pretended, in a grotesque comedy, that he was a king and they were courtiers coming forward to do obeisance – ‘Hail’ was a normal form of greeting, but it was also used when speaking to royalty, as in ‘Hail, Caesar’. No doubt there was a great deal of cruel laughter at the expense of their victim, as they hit him with reed canes, mocking his helplessness. The soldiers were cruel – there is no doubt about that, but they were under extreme pressure. Passover in Jerusalem was a flashpoint during which anything could happen. These men were auxiliary troops, not Romans; they had been recruited to suppress recurrent rebellion in Palestine. Their job was to maintain public order, and maintain it they would. Their treatment of Jesus was brutal, no doubt of that, but it was probably aimed more at the Jewish populace and their leaders than at the hapless man before them. 26 Then he released for them Barabbas, and having scourged Jesus, delivered him to be crucified. 27 Then the soldiers of the governor took Jesus into the praetorium, and they gathered the whole battalion before him. 28 And they stripped him and put a scarlet robe upon him, 29 and plaiting a crown of thorns they put it on his head, and put a reed in his right hand. And kneeling before him they mocked him, saying, “Hail, King of the Jews!” 30 And they spat upon him, and took the reed and struck him on the head. 31 And when they had mocked him, they stripped him of the robe, and put his own clothes on him, and led him away to crucify him. 16 And the soldiers led him away inside the palace (that is, the praetorium); and they called together the whole battalion. 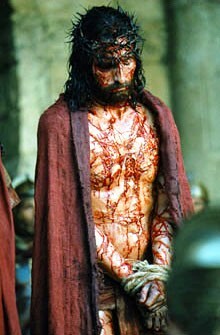 17 And they clothed him in a purple cloak, and plaiting a crown of thorns they put it on him. 18 And they began to salute him, “Hail, King of the Jews!” 19 And they struck his head with a reed, and spat upon him, and they knelt down in homage to him. 20 And when they had mocked him, they stripped him of the purple cloak, and put his own clothes on him. And they led him out to crucify him. 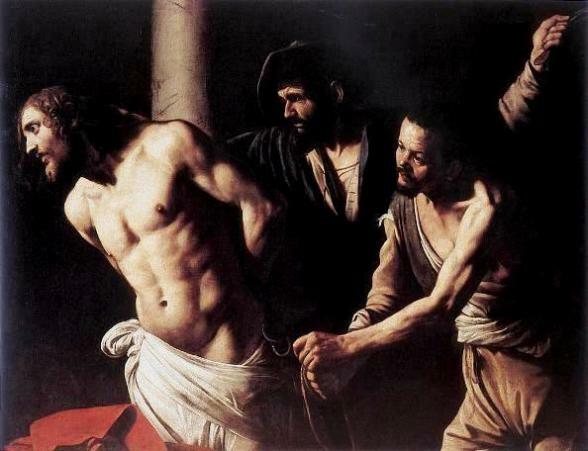 1 Then Pilate took Jesus and scourged him.